Florida Gators head coach Dan Mullen addressed the media for the final time before Saturday’s spring game. He talked about the plans for the game and how players have progressed over the last month. •	A lot of recruits will be on campus for the Orange and Blue Game. 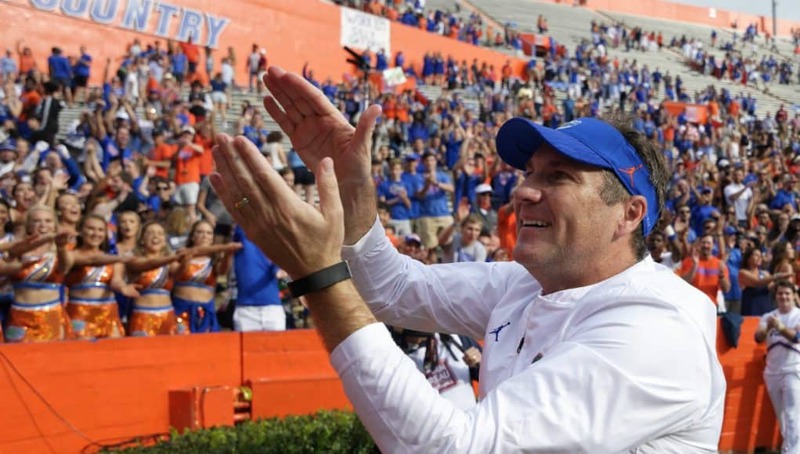 •	The Gators will have boosters as guest coaches again this year. •	The spring game will last exactly two hours, even if it ends in a tie. 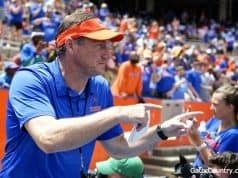 •	Mullen is pleased with the progress the quarterbacks have made this spring, and he can see they are much more confident in the second year in the system. •	There is talent and depth in the wide receiver room, and Mullen said all of those guys are going to get a lot of opportunities this season. •	Mullen said there was a lot to teach off of in Saturday’s scrimmage. He did not feel extremely good or extremely bad about it. •	If players come up to Mullen with intention to transfer and don’t have a good reason or a plan, he tries to talk them out of it.